Jason F. Wright is a New York Times bestselling author and a member of The Church of Jesus Christ of Latter-day Saints. Wright was born on February 1, 1971 in Florissant, Missouri, to Willard Samuel Wright and Sandra Fletcher Wright. The family moved to Germany for work, and the first four years of Wright's life included travel around Europe. The family later moved to Illinois and Virginia. Wright served a two-year mission for the Mormon Church to Brazil. He attended Brigham Young University, where he met his wife, Kodi Erekson. They have four children and live in Woodstock, Virginia. Wright's first novel, The James Miracle, was first released in 2004 and then re-released in 2009. His 2005 novel, Christmas Jars made the New York Times bestseller list and was optioned as a movie. The paperback version was released in 2007. In addition to his novels, Wright has published opinion editorials on issues ranging from pop culture to politics. His articles have appeared in more than 50 newspapers and magazines across the United States including Glenn Beck's Fusion Magazine, The Washington Times, The Chicago Tribune, and Forbes. 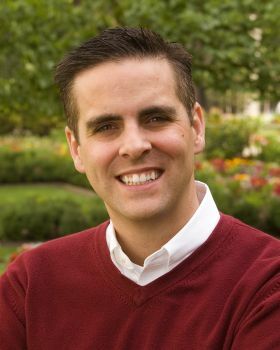 Wright also works as a political and public policy consultant and is the founder of PoliticalDerby.com, a political website known for ranking the candidates running for the White House in 2008. He appears regularly on FoxNews morning show, Fox & Friends. He has also appeared on most major cable news channels including and C-SPAN.